Maritime crews that work on tugs and barges in Puget Sound, the Inland Passage, Alaska, and other waters around the world for U.S. companies are covered under the Jones Act for injuries that occur during their employment. At Kraft Davies, PLLC, we have proudly represented injured tug and barge crews for decades and have more than 65 years of combined experience in maritime injury cases. Many of these workers are members of the Inlandboatmen’s Union of the Pacific and others are non-union workers. Whether your injury occurred while working for Foss Maritime, Crowley Maritime, Dunlap Towing or some other tug or barge company, we have the resources necessary to obtain the compensation you and your family need in the wake of a serious injury. 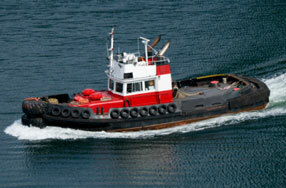 What Should You Do After an Injury on a Tug or Barge? Following an injury on a tug or barge, it’s important that you seek immediate medical attention to address your injuries. You have a right to select your own medical doctor and should be wary of any doctor selected by your employer. Because some employers will attempt to delay treatment until the end of your hitch to avoid having to report the incident as a time-loss event, it is important that you are firm about your need for medical treatment and insist that you get proper medical evaluation following an injury. When filling out the accident report, make certain that you identify all unsafe conditions that led to your injury and obtain the contact information for all witnesses. What unsafe condition caused your injury? Was a pre-task planning meeting held? Did the crew perform a job safety hazard analysis? Was the job safety hazard analysis followed once the work began? Were certain risks of the work ignored or overlooked? How could your injury have been avoided? These are all important questions that your maritime injury lawyer will need to investigate in your claim. If possible, obtain photographs of any of the equipment or the scene of the area where you were injured. It may be important in explaining the circumstances of your injury. The Jones Act is federal legislation that provides injured maritime workers a right to compensation following an injury on a tug or barge if their injury was caused by an unsafe condition on the vessel, the negligence of their employer or co-employee, or due to defective equipment. For example, your injury may have occurred due to an unreasonably slick deck due to oil that was not cleaned up. You may have tripped over an item that was not properly stowed or been injured while attempting to board the vessel due to unsafe access to the vessel. Each case is different and requires the careful analysis of an experienced maritime injury lawyer. What Benefits Can I Recover Under the Jones Act? Under the Jones Act, injured tug and barge workers can recover lost wages, loss of earning capacity, lost benefits, lost accumulated time off, damages for pain, disfigurement, disability, and loss of enjoyment of life. Depending on the circumstances of your injury, you may be able to recover other damages. If you have questions about the damages that you may recover under the Jones Act, contact our award-winning tug and barge injury lawyers for a free consultation today. There is no obligation and you will come away with a better understanding of your rights under the Jones Act. Over the years, our maritime injury lawyers have collected millions of dollars to help injured tug and barge employees and their families recover following a serious injury at work. We’ve got your back and know how devastating these injuries can be to your life and ability to earn a living. Contact one our tug and barge injury lawyers today for a free consultation.